Transport ambition resonates but needs to be matched with political and financial OOMPH! One of the two big items in both Auckland Plan (how Auckland will look and how it will get there) and the Long Term Plan (master budget document) is transport. Specifically how our transport network is going to be shaped and how transport will tilt more towards form over functionality (that is transport is seen as place maker rather than all about the flow and nothing else). 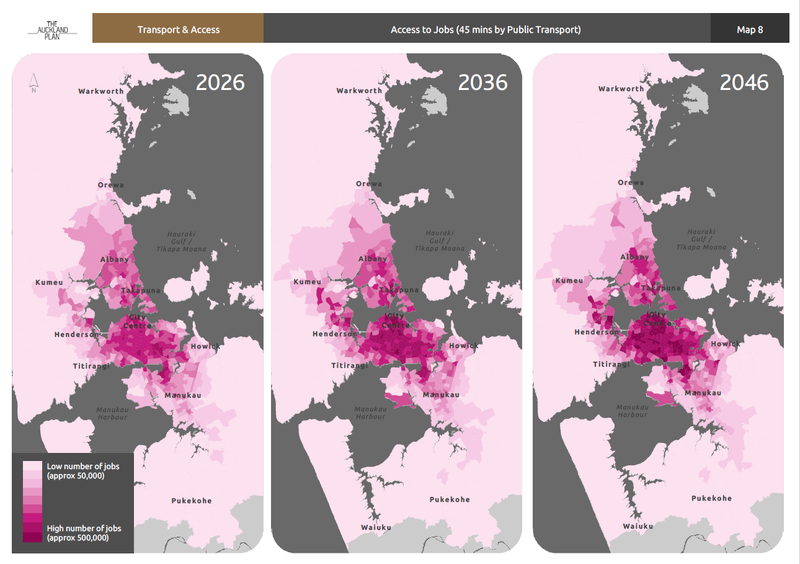 In the Auckland Plan 2050 one of the outcomes is: Transport and access. Aucklanders will be more easily able to get to where they want to go, and will have choices about how they get around. Being able to easily reach the things that matter most to people, such as work, school, family and friends, is vital for us to lead successful and enjoyable lives. To achieve this we need efficient ways for people, goods and services to move within and across Auckland, throughout New Zealand and across the world. For Auckland to be a truly accessible city we also need to make sure that people of all ages and abilities, including people with reduced mobility levels, can go about their daily lives and get from one place to another easily, affordably and safely. This means tailoring the way infrastructure and services are provided so they meet the wide range of Aucklanders’ needs. Our transport system is key to making Auckland more accessible, and for us all to benefit from growth. While great improvements have been made over the past 20 years, historic under-investment, combined with rapid population growth, means we still face big challenges. Past decisions shaped Auckland into a relatively low-density city where private vehicles were the only viable option for almost all trips. focusing on changing our travel behaviour. A big increase in transport investment over the last two decades has mostly completed the motorway network and started to develop a quality public transport system, that makes it possible for people to avoid congestion when they travel by bus, train or ferry. Over the last few years there has also been investment in cycle ways. Read about how we’re making Auckland more cycle friendly. In some areas there have been improvements for pedestrians as well, such as the Te Ara Mua Future Streetsproject in Māngere, ranging from how traffic is managed, to better paving, lighting and safety. However, the legacy of past decisions is still felt today. Many projects that were first planned decades ago, such as the City Rail Link, are only now being built. This makes it difficult to address today’s problems, let alone prepare ourselves for future growth. Read more on the City Rail Link website. As a consequence, people living in large parts of Auckland still don’t have many choices in the way they travel. Major chokepoints and bottlenecks also remain on many main roads. Improving transport and access in Auckland requires an integrated approach and is a partnership between Auckland Council and central government. The Auckland Transport Alignment Project (ATAP) developed a long-term strategic approach to address Auckland’s transport challenges. ensuring investment is targeted to the greatest challenges. For more information visit the Auckland Transport Alignment Project website. 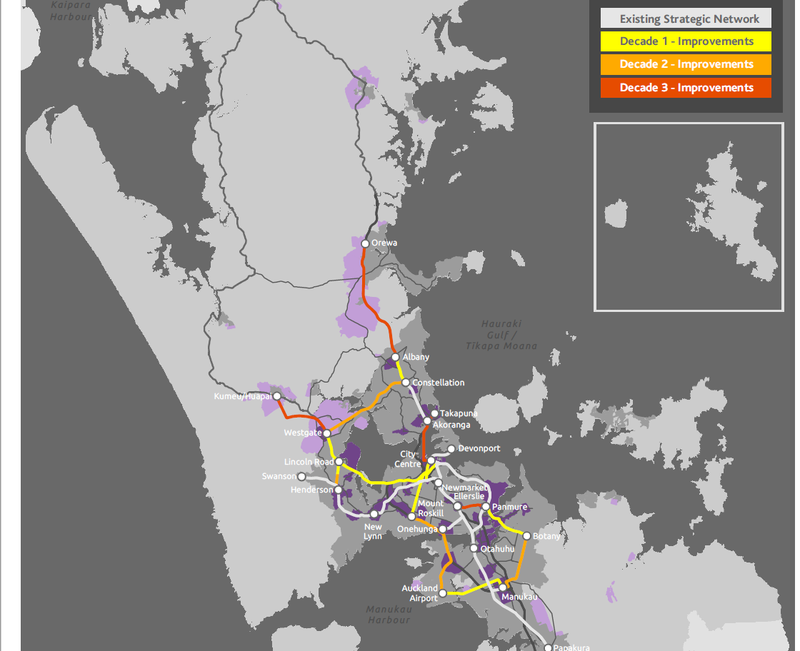 ATAP confirmed that transport funding is a major challenge for Auckland. Relying on traditional funding sources such as rates, fuel excise duty and road-user charges is not enough to meet the needs of such a fast growing area. continuing to explore new funding tools. We can predict some changes to the transport system, but the further into the future we look, the more unknowns there are. What we can confidently expect is that physical travel will be very different. The things we travel in or on may be very different than now, and the networks or infrastructure that support these ways of travelling may also be very different. This change may be gradual, but is highly likely. The transport infrastructure we build must be as adaptable to the future as possible. 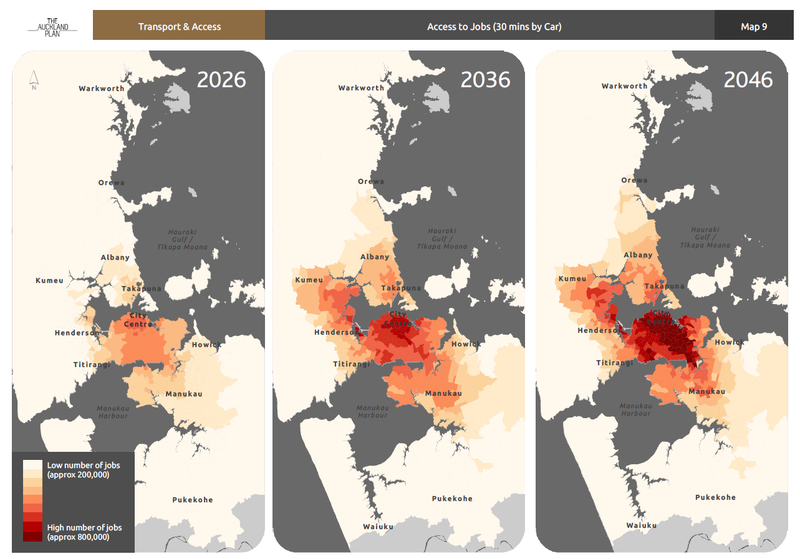 Accessibility, equity, place making – transport has a major role in these three and as you deep dive down into the Auckland Plan 2050 you begin to peel back on how all three qualities are needed in a functioning city. 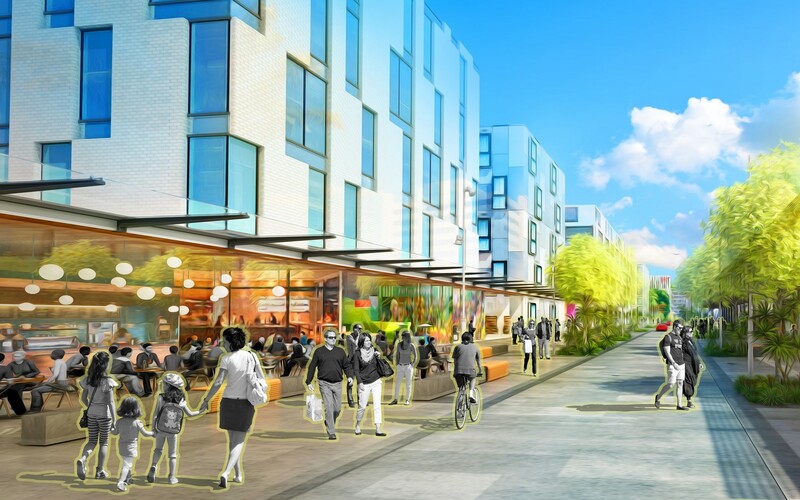 Transport with its accessibility, equity and place making are being moulded around the Auckland Plan Development Strategy that (and for the first time) facilitates Auckland becoming a multi nodal City. That is a poly centric approach rather than a mono-centric approach to Auckland’s urban geography based around (and I get to yell it out) NODES! What is a Node and the multi-nodal approach? Over the next 30 years, Auckland will move towards a multi-nodal model within the urban footprint. The city centre will continue to be the focus of Auckland’s business, tourism, educational, cultural and civic activities. It will continue to be an important residential centre as well. But it won’t be the only main centre in Auckland. The areas around Albany, Westgate and Manukau will emerge as nodes which are critical to growth across the region. They will become significant hubs of a broad range of business and employment activity, civic services and residential options. These areas, with their large catchments, will accommodate substantial growth in the north, north-west and south and will be interconnected by a range of efficient transport links. Outside the core urban area, the satellite towns of Warkworth and Pukekohe will act as rural nodes. be connected to urban Auckland through state highways and, in the case of Pukekohe, by rail. Auckland’s size and scale supports many economic, cultural, educational and recreational opportunities. These will increase as Auckland grows, but will only be realised if everyone can easily get to them when they need to. Improving access depends on the entire transport system being managed and developed as an integrated whole, across the different networks (arterial roads, light and heavy rail, motorways, local streets, ferries) and different modes (private vehicle, public transport, walking and cycling). The system must also cater for the different places where people live and work, from high density urban centres to local suburbs and rural areas. Making it easier and more affordable for people to get to work, school or training is particularly important for increasing economic productivity and everyone’s prosperity. it reduces the vulnerability of workers to long-term unemployment in the event of (unforeseen) employment change or job loss. The efficient movement of goods and services is also essential to prosperity. The Ports of Auckland and Auckland Airport are New Zealand’s main international gateways, so Auckland has a significant role in the distribution of freight within Auckland, to neighbouring regions as well as to the rest of New Zealand. While major upgrades to State Highway 1 to the north and south of Auckland are planned or underway, these improvements may have to be complemented by future upgrades to the rail network to better connect the upper North Island. Read about Passenger rail transport between Auckland, Hamilton and Tauranga. The vast bulk of freight and commercial travel in Auckland is by medium and small size vehicles distributing goods to retailers or to homes, and by service workers such as plumbers or electricians. Travel delays and uncertainty about trip times create real and substantial costs to businesses. This increases costs for everyone. An integrated approach will improve our ability to ensure consistent service provision, an effective network and affordable travel choices. Auckland, the Waikato and the Bay of Plenty are home to just under 50 per cent of all New Zealanders (as at the 2013 Census). are likely to account for more than 70 per cent of New Zealand’s population growth over the next 30 years. Recent improvements to road transport between Auckland and Hamilton, in particular progress towards completing the Waikato Expressway, have created substantial travel time and safety improvements. 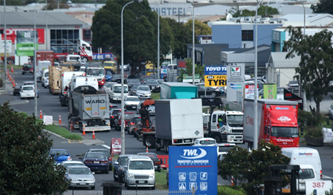 However, at peak times journeys are likely to remain long and relatively unreliable, largely because of congestion on Auckland’s southern motorway. Frequent and regular passenger rail services between Auckland, Hamilton and Tauranga would offer a congestion-free alternative to road travel, and would complement the upgraded road network. It would also provide a better road travel experience for those who continue to drive. 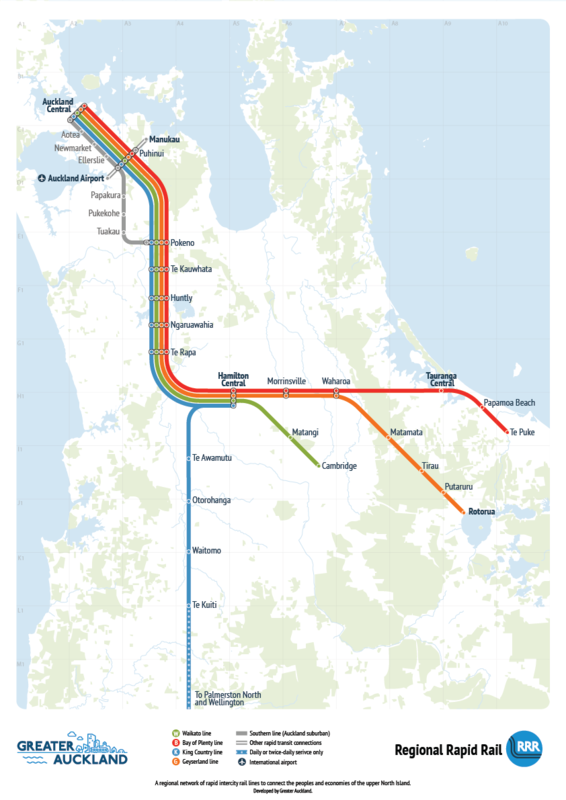 Inter-regional passenger rail has the potential to reduce travel times between Auckland and Hamilton to just over an hour, and reduce times between Tauranga and Auckland to around two hours. It would support growth in northern Waikato towns by making inter-regional commuting a viable proposition. reduce congestion, transport related emissions and deaths and injuries occurring on the road network. The above is referring to using the Southern Airport Line (Airport to Botany via Manukau and Puhinui Rapid Transit (hopefully light rail)) explicitly over the Northern Airport Line (City Centre to the Airport via Dominion Road and Mangere) as the express connection between the City Centre and the Airport. 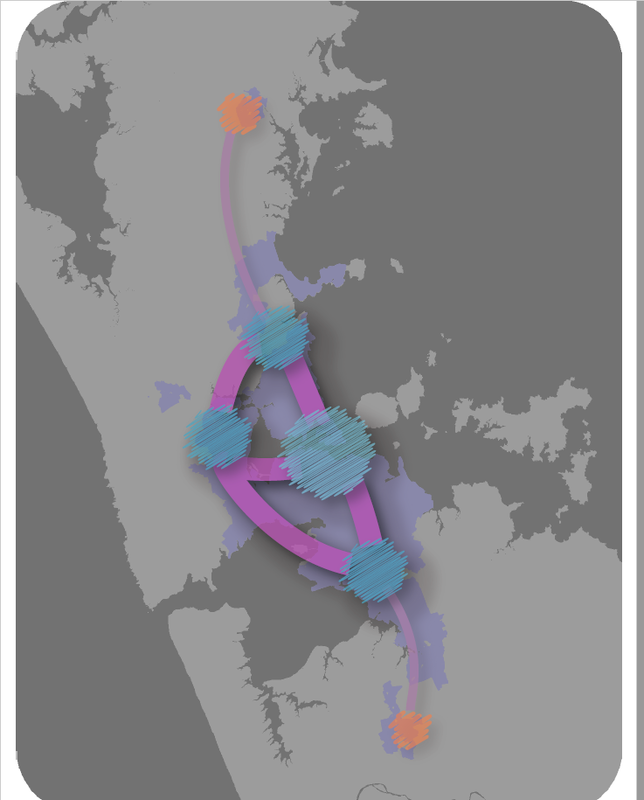 While I have blogged before on the difference on the two Airport Lines this is the first time I have seen how the Southern Airport Line will play out in its role as a universal connector (to both wider Auckland and anyone that can access the Rapid Regional Network in the Waikato or Bay of Plenty). Promoting the Southern Airport Line and Regional Rapid Rail like this boosts the credentials of integrated transport being accessible and equitable (compared to other modes) and providing both schemes are built quickly I am deeply encouraged that both will be game changers to the upper North Island. Auckland’s growth is forecast to create major challenges in getting to and from work. For many people, work will be a long distance away from home, meaning a long commute. Housing growth is likely to spread significantly into new greenfield areas on the periphery of urban Auckland. At the same time, changes in Auckland’s economy means job growth is likely to cluster in major centres. Despite Auckland’s projected overall population and employment growth over the next 30 years, many Aucklanders, especially those in the south and the west, may need to travel further to reach their jobs. This will put additional pressure on our transport networks and ultimately limit or reduce the number of jobs that can be reached within a reasonable commute time. Improving access to employment is a key way of improving prosperity and lifting people out of poverty. So it is particularly concerning that the areas facing the greatest challenges in accessing employment are also some of the most economically deprived communities in Auckland. targeting investment in new transport infrastructure to address access issues. Remember you are trying to get as many residents as possible within (ideally) 45 minutes transit time to their place of employment (or main place of recreation or leisure) while acknowledging in some cases (but not majority) that accessibility by car is also needed. Transport infrastructure and services are important for enabling and supporting population and housing growth in new and existing urban areas, while the location of growth affects how well the transport system performs. Stronger integration between transport and land use decisions is required so that housing, business and employment growth occurs in areas with better travel options. This will help reduce some of the pressure that growth places on our transport system. Integrating land use and transport is also required at the street level. The planning and design of our streets must support quality, vibrant urban amenity and good living environments. Designing streets and transport facilities to reflect Māori culture, through the use of Te Aranga design principles will help affirm Auckland’s unique point of difference. Find out more about these principles on the Auckland Design Manual website. See also Auckland’s Transport Design Manual. designing and managing streets in a way that makes it easier for people to get around and enjoy the places in which they live and work, using good design to manage any trade-offs between vehicle movement and place making functions. I be believe this is the first time where we see Transport being mentioned as a (place making) form rather than purely as a function in a large scale document such as the Auckland Plan. As noted above integrated transport/land use looks at how transport can be a place maker. We have limited examples of this in Auckland such as the Fort Street shared space in the City Centre and soon Putney Way shared space in Manukau City Centre. If we are to nail accessibility, equity and form (place making) all in one go then Auckland needs to be better at integrated transport/land use decisions. Getting rid of land inefficient parking minimums would be a start as Minimum Parking Requirements do nothing to promote accessibility, equity or form. Making sure our Rapid Transit Network as that rolls out allows for Transit Orientated Developments especially around our stations will be a challenge for Auckland but a challenge we can arise to. I talk about one Rapid Transit Network line and its TOD potential here: The Southern Airport Line – More than a Light Rail Line – A Community and City Builder Too! Transport that is accessible, equity and prioritises form. This is what the Auckland Plan 2050 sets out and is asking if it will be achieved the right way. 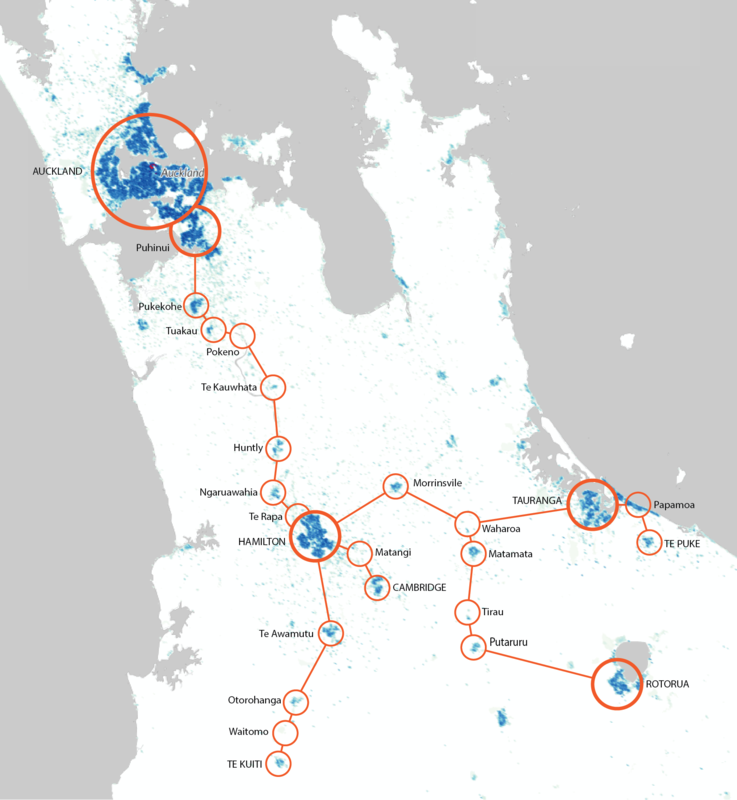 To me looking at explicit references to things like the Southern Airport Line, and Regional Rapid Rail in the Auckland Plan 2050 marks an encouraging start to nailing that integrated land use/transport form. However, this needs to be backed up with Budget from Auckland Council’s Long Term Plan, and central Government’s Government Policy Statement that dictates transport priorities over the next three years. Do not forget to have your say either on the Auckland Plan 2050 and the Long Term Plan 2018-2028.